Much has been said about his life and work, and I have left it to others to assess his enormous contributions to the study of ancient Hebrew poetry, the composition of the Deuteronomistic History, and many other areas of biblical studies. Here, I aim to place his work in perspective for those interested in the secular study of the Bible. In addition, I was the only openly agnostic/atheist doctoral student that he had as far as I know, and I completed my doctoral thesis under his supervision in 1991. Therefore, I may have a different perspective on the implications his work for secularism. Although Prof. Cross was no atheist activist, his work contributed much to undermining traditional Christian views of the Bible even if that was not always his intention. The first area in which he helped to undermine traditional views is in the history of the text of the Hebrew Bible. 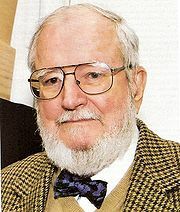 Prof. Cross was one of the original members of the famed international team who helped to reconstruct the Dead Sea Scrolls (= DSS). Cross was perhaps the most important Dead Sea Scrolls scholar to date, especially because he advanced the paleographical methods that helped us to date the scrolls, and because he further developed important theories about local varieties of the text of the Hebrew Bible. Indeed, Cross’s work dismantled the myth that there had been one faithful text of the Hebrew Bible (the “Old Testament” for Christians) preserved from the beginning. The first biblical scrolls found (Cave 1) did have readings that were similar to those we knew from the Masoretic Text, which describes a Medieval family of Hebrew biblical manuscripts that still represent most complete copies we have of the Hebrew Bible. But, what Archer omits is that these manuscripts of Isaiah were vastly outnumbered by manuscripts that differed dramatically from the text of the Bible we have now. For example, the book of Jeremiah represented in the DSS is about one-sixth shorter than what is found in most modern Bibles. Another misperception is that the DSS are virtually identical with the “originals” of the Bible. But there still remains some one thousand years between the oldest existing manuscripts and any supposed “original” writings penned by a Moses or a David. According to traditional dates, Moses lived around 1450 BCE, and David around 1000 BCE. So, we still don’t know what has been added or deleted between those dates and the dates of the oldest DSS manuscripts we have (around third century BCE). Today, it is widely recognized that there were many variant texts of the Hebrew Bible, and the whole idea that we can even identify the original text of the Hebrew Bible is dissolving. As I noted in The End of Biblical Studies, Emanuel Tov, who is probably the greatest authority of the DSS today, has diluted the meaning of “original” with each successive edition of his Textual Criticism of the Hebrew Bible. Another major area in which Prof. Cross undermined traditional Christian views is in his work on the origin of the religion of ancient Israel. His main work was summarized in his now classic Canaanite Myth and Hebrew Epic (1973). Cross traced the developments of Yahweh to a pre-Israelite Canaanite matrix. Basically, he concluded that some of the main features of Yahweh had resulted, among other things, from a blend of the mythology of El and Baal. We learned much more about these gods from texts discovered in 1929 at Ugarit, a city that flourished in the 14th century BCE in what is now Syria. As Cross phrases it: “Yawhism also owes a debt to the myths of Ba‘al” (Canaanite Myth and Hebrew Epic, p. 147). The idea that Yahweh originated from pre-biblical mythology certainly undermined traditional Judeo-Christian conceptions of their god(s), even if many Christian biblical scholars still think that ideas about Yahweh reflect human attempts to access a real transcendent reality. Cross trained over a hundred doctoral students. However, unlike most programs in biblical studies today, Cross and others at Harvard placed a real emphasis on philological rigor, and the ability to verify information in the primary sources. This meant that students were expected to be able to read some 8-10 ancient and modern languages by the time they left Harvard’s doctoral program. The premise was that you could not develop any broad interpretation of biblical and cognate texts unless you could independently evaluate those texts at the most fundamental level. Such demanding philological training is unfortunately dying in most universities teaching biblical studies. However, those abilities are what helped me to see that much of what was called biblical history often depended on texts, whose readings and interpretations were often flawed or highly debatable. Prof. Cross contributed enormously to dismantling many traditional Christian beliefs about the origin of the Hebrew Bible and Yahweh. Even if Cross did not intend to undermine traditional views of the Bible, the fact that he did should also be appreciated by secular humanists. Most of his eulogizers—Jewish, Christian, or secular—rightly recognize that his contributions far outweighed his flaws. It is important not to idolize famous scholars, and I am not one to overlook disagreements or flaws. Some have argued, with good reason, that Cross unduly delayed access to the scrolls. I also didn’t agree always with Cross on how he dated some biblical texts based on supposedly “archaic” features, and I voiced some of these criticisms in my book, The End of Biblical Studies (2007). and that had negative consequences for DSS research. B. Cross will be remembered as a supporter of an anti-Semite (i.e., Strugnell). C. Cross used his ministerial career to avoid military service. The main issue is the extent to which Cross excused the behavior of John Strugnell (1930-2007), a Harvard colleague who was also a major scholar of the Dead Sea Scrolls and was once the Chief Editor of the DSS. See Strugnell bio. The student in question is Professor Leonard Greenspoon, who now holds the Klutznick Chair in Jewish Civilization at Creighton University in Omaha, Nebraska. See Greenspoon. Since I know Dr. Greenspoon, I thought I would independently confirm this story with him. He has a different version of the story. "There is a 'kernel' of truth in his re-telling of my recollections. I did indeed visit Strugnell at the Ecole Biblique. There were cases of beer lining the hall outside his room, lots of beer in his room, including some being cooled off by water in his basin. But he was not lying (drunk or otherwise) in the room. Rather, he was working, seemingly very much at peace, at his desk. As to the navel as an ash tray story, that’s something I remember (although very vaguely) seeing at a party at Strugnell’s house—I think it was the only party of his I attended. It is, if not impossible, surely implausible that Cross didn’t know about Strugnell’s condition. Actually, as a naïve Southern boy, I was probably the last to figure it out. I don’t think, in any case, that it has anything to do with Cross’ management (or mis-management) of the Scrolls. Certainly, the case can be made that he and the others in charge of the Scrolls should have opened up access to them far earlier than the did. But I don’t see how that relates to the specifics that McCall cites." Since I cannot adjudicate such recollection disputes, the fairest thing I can do is to note that there are at least two versions of the events in question, and allow readers to decide for themselves. In addition, McCall states: "In the end, Cross will still be remembered as a supporter of an anti-Semite." McCall here alludes to the infamous anti-Jewish remarks that Strugnell made in an interview with the Israeli newspaper, Ha'Aretz, and which cost Strugnell the editorship of the scrolls. I am not sure how many “still remember” Cross in this way. I attended the memorial service for Cross in Chicago on November 17th, and none of the speakers, who included a number of Jewish scholars, remembered him as a supporter of an anti-Semite. "As friends and colleagues of John Strugnell we were dismayed to read the reports of the Ha’aretz interview in which he made grossly insensitive and reprehensible statements about Jews and Judaism. While we find these remarks abhorrent, it is our understanding that they were made at a time when he was seriously ill. We cannot know how much his illness influenced what he said. We can say that such statements stand in contrast to his actions over the past 25 years" (Biblical Archaeology Review [March/April 1991]). I do not think that mental illness should be used as an excuse for Strugnell’s anti-Judaism. Strugnell gave arguments for his views that do not seem to be merely the product of an alcoholic or manic-depressive. Rather, Strugnell seems to be a convinced anti-Judaist, who is fully capable of elaborating his theological rationales for his anti-Judaism. I myself commented on Strugnell’s anti-Judaism already in The End of Biblical Studies (pp. 82-83). As Strugnell expressed it in his infamous interview: “An anti-Judaist, that’s what I am. There, I plead guilty. I plead guilty in the way the Church has pleaded guilty all along, because we’re not guilty; we’re right. Christianity presents itself as a religion which replaces the Jewish religion. The correct answer of Jews to Christianity is to become Christian. I agree that there have been monstrosities in the past—the Inquisition, things like that. We should certainly behave ourselves like Christian gentlemen. But the basic judgment on the Jewish religion is, for me, a negative one” (Biblical Archaeology Review [January/February 1991] p. 64). If Strugnell is an anti-Judaist, so is pretty much the bulk of Christianity. In any case, even Cross’s Jewish colleagues, friends, and students did not equate his support of Strugnell with any endorsement of anti-Semitism. For example, Hershel Shanks called Cross “a great friend of Israel and of the Jewish people" (Biblical Archaeology Review [March/April, 1991] p. 53). Shanks also said: “One factor that further complicated the matter was that almost all members of the original editing team were openly and vehemently anti-Israel. Harvard’s Frank Cross was a notable and distinguished exception to the anti-Israel bias of the team of editors” (Biblical Archaeology Review [March/April 1991]). The Israeli scholar, Emanuel Tov, the chief editor of the scrolls, was one of Strugnell’s students, and he had nothing but praise for Cross at his memorial in Chicago. Prof. Peter Machinist, who succeeded Cross at Harvard, also notes that Cross won the Percia Schimmel Prize in Archaeology of the Israel Museum, Jerusalem. Such an honor shows that any support of Strugnell was not held against Cross. “Moreover, Frank signed the letter (with more than 80 other scholars, including Jewish scholars) defending Frank’s Harvard colleague John Strugnell against charges of anti-Semitism. In short, Frank and I had our differences, but I mention this because this only enhanced my respect and admiration for the man. He was willing to respect my viewpoint, as, of course, I was his. All this concerning the scrolls was a blip that fades into insignificance with the passage of time. Frank’s scholarly achievements have had a radiating and lasting influence” [emphasis mine]. The eulogy written by Dr. Jonathan Rosenbaum, President Emeritus of Gratz College and Professor Emeritus of Jewish Studies at that institution, did not think Cross’s support of Strugnell even merited mentioning. I could not independently verify whether Cross received a ministerial deferment, or whether any deferment was given for the reasons cited by McCall. I would have to see further documentation to judge the validity of the claim. In sum, Cross certainly denounced Strugnell’s anti-Jewish statements in the letter to which he was a signatory. I know of no Jewish scholars who believe that Cross’s expression of support for Strugnell, as a person Cross believed was suffering from mental illness, outweighs his contributions to the study of ancient Hebrew texts.